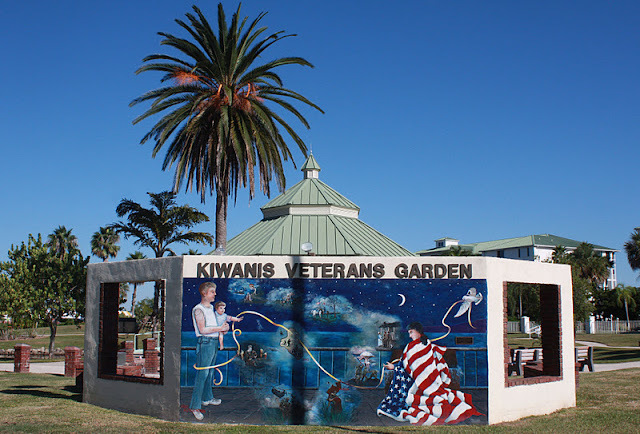 Punta Gorda Florida Daily Photo: For Veteran's Day -- The Kiwanis Veterans Garden Mural "Lest We Forget"
For Veteran's Day -- The Kiwanis Veterans Garden Mural "Lest We Forget"
At the Entrance to Laishley Park this mural originally adorned the old Punta Gorda post office which was torn down. The new one was dedicated on November 11, 2005. The artist was Liz Hutchinson.